Drawing shoes is not that easy at start. 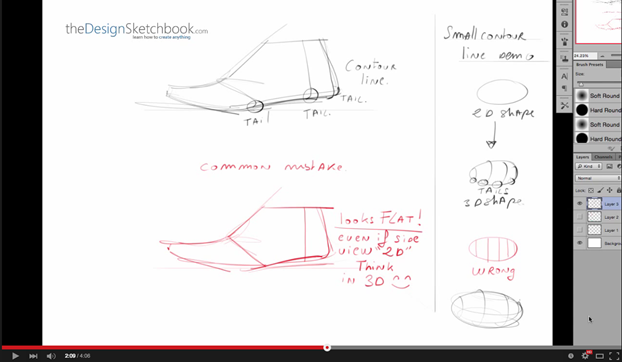 We often face some issues about proportion, and how to visualize the shoe in “3D”. 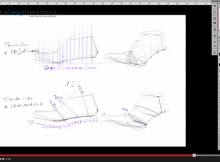 This video will give you 3 Tips to keep in mind + Some common mistakes before we go further for a step-by-step tutorial on how to draw a shoe (in further video). 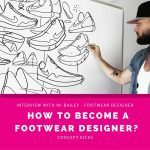 When we first draw a shoe, we often drawing what’s in our brain instead of the reality. 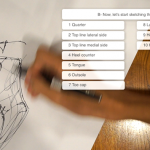 To draw shoes, our brain is not that reliable. Find in the videos 2 common mistakes that our brain like to trap us in ! 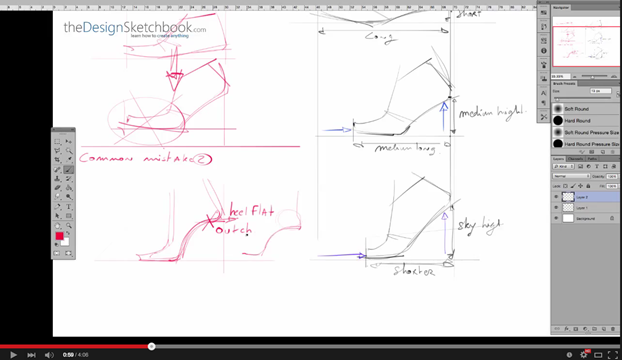 Use the tail when you draw your contour lines. We usually use contour lines like how a 3D software would “think”. For drawing shoes, I like to use a different logic. The one from the shoe makers. It’s a technique I discovered chatting with the shoe technicians. There is 3 main lines I use that a shoe maker himself takes his measurement from. 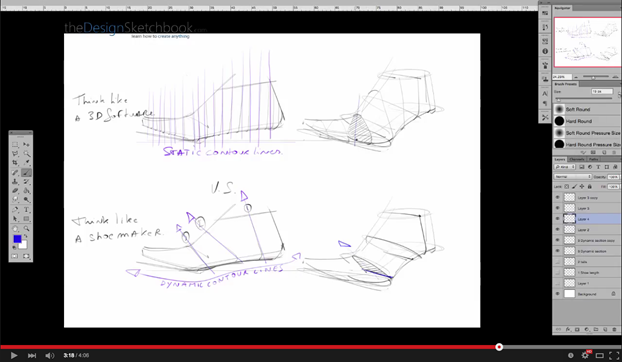 In further videos I will tell you more about How these lines help me to design shoes with a “fluid movement”. 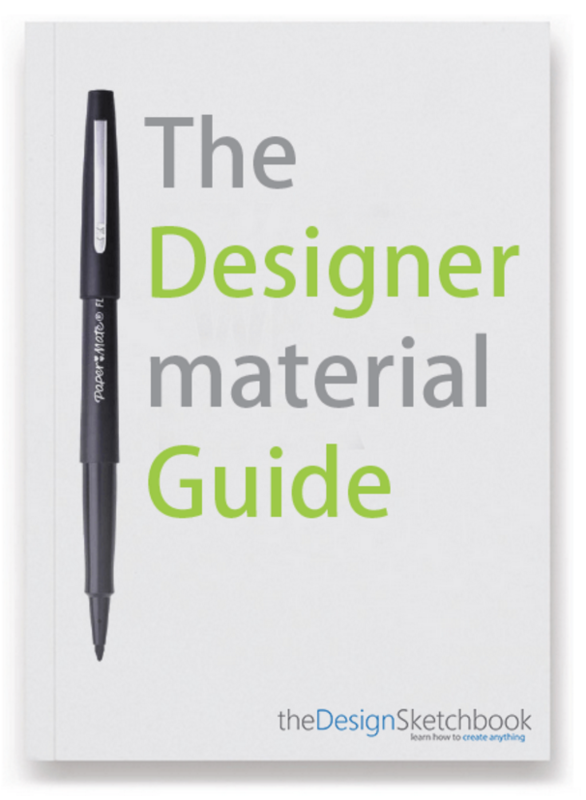 Hope it helps, let me know your questions and comments. See you guys soon for the next videos !